In Syria, the Union of Revolutionary Bureaus is empowering women and children to uphold their rights and freedom through education, job training and art. This raid came in response to a post on al-Fares’ Facebook page, in which he said, “If our main concern is what’s between a man’s lips [cigarettes] and women’s legs, and as long as we are herding people to prayers and flooding our schools with Sharia books, we will have a thousand years of death to come in Syria.” Al-Nusra also claimed that songs broadcasted on the station were against the Islamic ruling of Sharia. Members of the radio station were held inside the office for almost two hours while al-Fares was taken by al-Nusra. 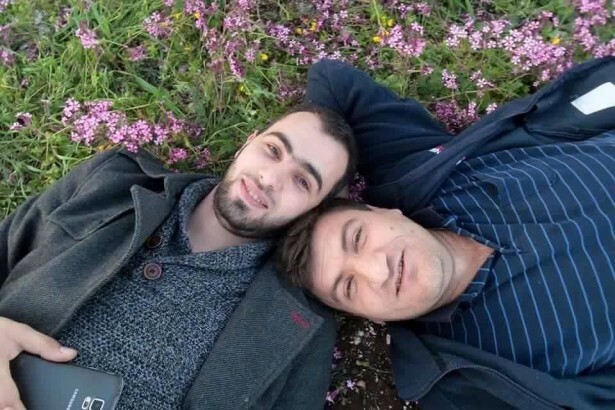 After hours of negotiations with al-Nusra’s leaders and Sharia judges, Abdullah provided guarantees that al-Fares would not post messages critical of Sharia on Facebook again, and he was released. Al-Nusra had to also admit that raiding the station was a mistake and promised to return all their equipment. 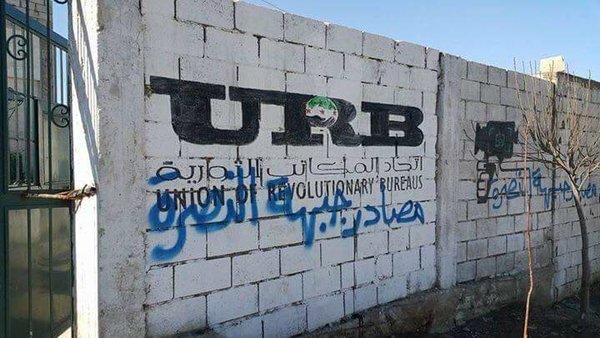 Radio Fresh is one of the many activities of the Union of Revolutionary Bureaus, or URB, a grassroots organization that tries to empower community members to uphold their rights and freedom in Idlib province. Established in Kafranbel in 2012 by al-Fares and a young activist named Khaled al-Issa, the URB currently has 475 employees with various offices that focus on enhancing education and empowering women and children. They provide training in sewing, hairdressing, nursing, and other skills that enable women to work. Similarly, URB established centers for children where they are encouraged to express themselves through painting and art. “The bureau activities came as a natural result of the needs on the ground,” said al-Rahal, whose center is part of the URB. This was not the first time al-Nusra has attacked the station. On January 17, 2015, al-Nusra raided a number of URB’s offices, including the headquarters of Radio Fresh and Mazaia. In response to this incident and continuous harassment and interference in civilian affairs, people took to the streets calling for freedom. They forced al-Nusra to keep the station and the women’s center running. Al-Nusra is emerging as a powerful force to rival the Islamic State in Syria and has seized several strategic towns in Idlib and Hama provinces. Al-Nusra’s goals are to overthrow the current Syrian government and create an Islamic Emirate under Sharia law. Al-Nusra uses Islam and Quranic texts to oppress people and impose strict social values, including limiting women’s movement and dress code. According to al-Fares, the true reason for his latest arrest was a campaign that he launched on the radio to raise awareness of basic human rights and against religious extremists’ practices. Using female voices, nine messages were repeated between programs and songs that challenged not only extremists, but the whole culture. These messages defend women’s basic rights and ask men to take some responsibility and support them in obtaining these rights. They are also a direct response to armed and extremist factions’ strict rules on women’s dress code and education. People who took to the streets in early 2011 against Assad’s oppressive regime have recently been demonstrating against all oppression. “We protest against the regime, extremists, the Russians, NATO and starvation in besieged Madaya,” al-Rahal said. Madaya is one of 19 Syrian towns under siege, where cases of death due to starvation have been reported. While Madaya is besieged by pro-Syrian government forces, other places like Foua and Kefraya are besieged by armed opposition groups. According to U.N. estimates about 500,000 people are currently living under siege. There have been protests against al-Nusra’s aggression and strict rules all across Idlib. On January 15, people in Maraat al-Numan in Idlib demonstrated against al-Nusra and called for its departure. “Maraat is free free, al-Nusra is out out,” they chanted. A new wave of protests has coincided with the ceasefire, which went into effect on Feb. 27. 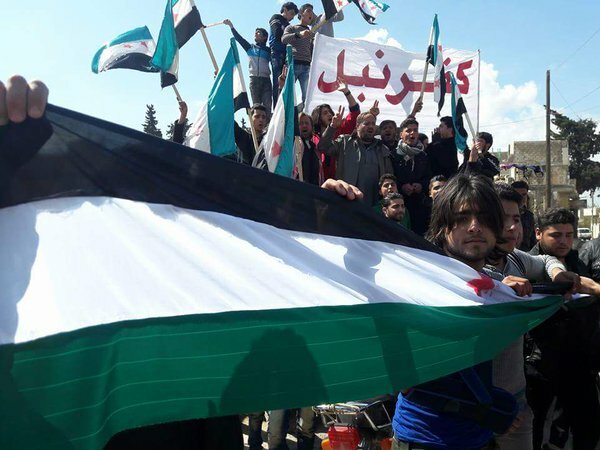 On March 14, hundreds took to the streets against al-Nusra’s aggression against civilians and moderate factions. In places like Khan Shaykhoun and Salqueen, people have protested against al-Nusra’s attempt to impose Sharia clothes, or niqab, on women. In other parts of Syria, like Raqqa, where the Islamic State is in full control and brutal against civil organizations, residents are resisting by not swearing allegiance to the group. Those who do not swear allegiance have to pay for social services, which IS provides for free, and additional taxes. 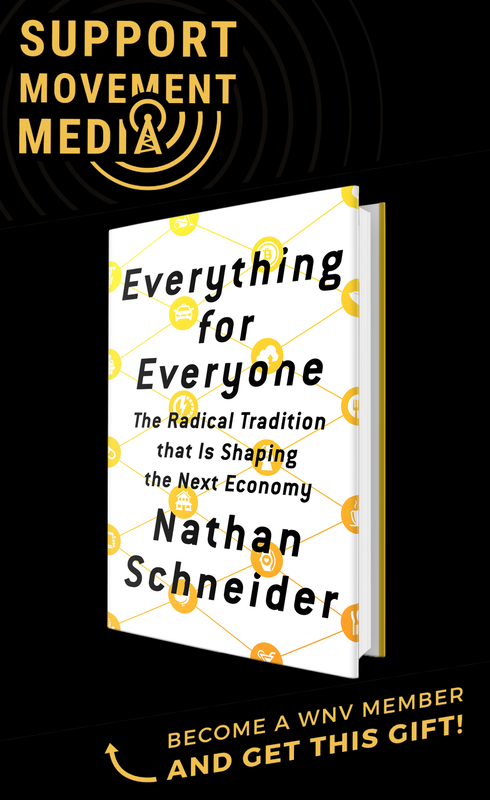 Interesting story, which I may reprint on my website (with credit and link back, of course). But I am curious what NATO has to do with anything. NATO has not intervened in Syria.